You’d think with a world-beating market share in smartphones, Google(s goog) executives would be happy. But the team behind Android is making clear it’s not enough to be bought, you want to inspire wonder and awe. You want to be loved. Kind of like Apple’s iPhone(s aapl). That’s one of the big takeaways from an interview the Verge conducted with Matias Duarte, the former Palm (s hpq) interface designer who now heads Android’s user experience team. Duarte explained that Google conducted deep user ethnographic studies to understand how people were using their smartphones and others, causing Duarte to realize there’s a long way to go for Android. “With Android, people were not responding emotionally, they weren’t forming emotional relationships with the product. They needed it, but they didn’t necessarily love it,” he said. In fact, while some users felt empowered by Android, many found the operating system overly complex, requiring additional investment in learning the phone, he said. And even then, people became aware of things they could do with the phone but were unable to achieve it because they didn’t know how. That echoes what Android chief Andy Rubin said last December when he called Android still an “early adopter” platform. Duarte said the goal for Android is to create wonder and simplify people’s lives instead of creating more work for users. “We wanted to focus our effort on making people feel more amazing, like they’re super-powered. You put on your suit of techno-magical armor and now you can fly and shoot the bad guys. We want our products to make them more empowered,” Duarte said. 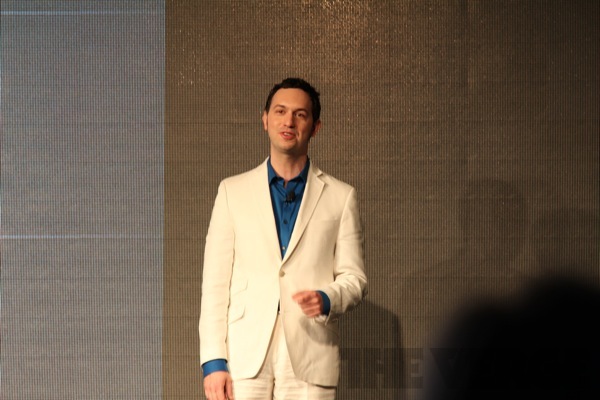 That appears to be the driver behind much of Ice Cream Sandwich, the latest version of Android which brings a host of improvements to the platform, from a cleaner UI to a lot of improvements to core apps and new features like screen unlocking through facial recognition. For a great rundown of the features, check out our “everything you need to know about Android 4.0” summary. But what’s interesting to me is that with the prodding of Duarte, the Android team is starting to sound more like Apple. Duarte doesn’t make that connection directly, but in his description of what Android is evolving toward, it sounds a lot like what Apple has achieved with the iPhone and what Steve Jobs strived for in connecting technology with liberal arts. That’s a good sign for Android, which has been accused of copying features from iOS. Duarte seems to understand the point is not to create features but more importantly, build a complete design and experience that inspires feelings of wonder and amazement. That’s not to say that Android hasn’t already done that to some point. It’s got some great tools and services but the whole experience has often felt a little unpolished. Now, it sounds like Android is poised to do something about it. To be sure, Android isn’t about to become an exact replica of iOS. Duarte said it’s not just about building a beautiful OS but creating a great and flexible platform that can showcase apps, content providers and the web. I have to spend some time myself with Ice Cream Sandwich but it will be interesting to see if Android can make this emotional connection to users. It’s an important question because Apple isn’t going away and with expanded distribution, it’s poised to win over more users who might looked at Android. And with Microsoft cranking up with Mango 7.5(s msft), along with more hardware support from Nokia(s nok), it’s also going to put more pressure on Android. A more polished operating system will be key in keeping customers and maintaining Android’s growth, especially more design and premium focused users, who expect more from a smartphone. Duarte is saying the right things and he appears to be taking Android away from its more technical and masculine design roots, creating something more accessible that resonates with users. If he can make this happen, it could be a huge challenge to rivals, who will have to compete with a fully mature platform that marries technological prowess with design and usability. Duarte image courtesy of the Verge. 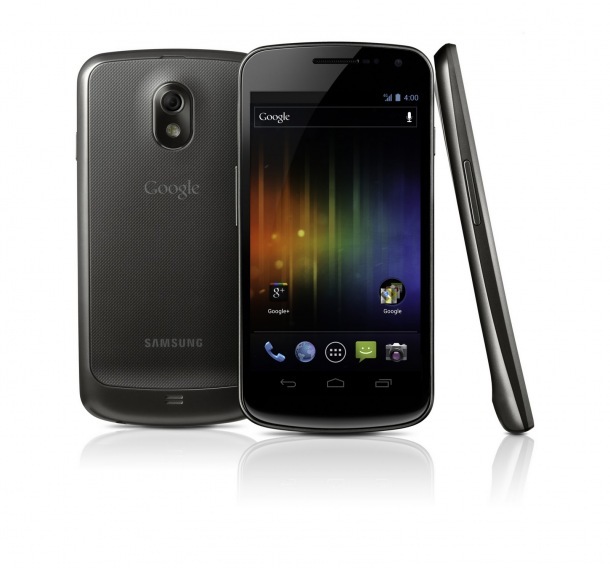 Can anyone who has received a review sample of the Galaxy Nexus please comment on the Google+ integration? In particular, are there any value-add features for â€˜Hangoutsâ€™ usage? If itâ€™s available via Verizon Wireless, then Iâ€™d welcome the opportunity to review it myself â€” and highlight my own Hangouts application scenarios. If anything, Android is moving further away from the limitations of iOS. ICS is taking several ideas from WebOS, but I wouldn’t expect a ‘tech journalist’ to have a clue on what’s going on outside the Apple reality distortion field. Just because you don’t like the fact that iOS is currently the one to beat doesn’t mean that you have to be harsh to the author of this article. Facts are the facts, and the iPhone IS the number one selling handset. That makes it the benchmark to beat. If you have blinders on about that, fine, but being so insulting just makes you look like a 13-year old, and one with no common sense either. If you read the story, it’s more about Android looking to incorporate more of the emotional connection and general usability of iOS, not picking off specific ideas. You’re right that ICS actually pulls from WebOS and I’d say WP7 too. But I think it’s in pursuit of the feeling and experience that iOS provides users. I think it’s about a company that hires someone that really gets UI design who tells that company, time to shape up! And the company actually takes heed of that person’s advice and reacts accordingly. Matias Duarte is to Google what Jonathan Ive is to apple. Alex is right – everybody copies good ideas. Both Microsoft and Google ( I don’t even talk about BlackBerry’s QNX) copied the webOS UI card metaphora. In ICS, there is more from webOS than from any other platform. People app – copy of Synergy. Android beam – webOS Touch-to-share. Multitasking realisation – almost same as in webOS. Mathias Duarte tryied to give Android UI some of webOS’s elegance. I find the look to be closer to the clean look of blackberry than to iOS. And I am not dissing it. I actually find iOS getting too complex. I still don’t get why there is no one elegant style android phone. And as the screen gets bigger, it will even be harder to do. Do Android users really want to fly around and shoot the bad guys? Or do they want to be linked seamlessly to the right people at the right times, and to augment their influence and enjoyment of the world with knowledge, easily and immediately, wherever they are? Does Google want to be Sony, or do they want to be Google? I think they want to be Microsoft. I’ll be the first person to admit that Android’s user experience isn’t as smooth as iOS, yet Android has offset that by being far more flexible and leaving me feeling less limited or “boxed in” in terms of what I can do with my phone. With ICS, I love how google is trying to address the user experience, yet also pushing the envelope with new features that are just waiting to be tapped. I can’t wait to get the Galaxy Nexus in my hands to try it out. I am pretty surprised that Google has taken this long to get the visual nature of mobile experiences. Oddly, as soon as they get that Apple moves on to voice. I have stated that Google would get there first, and was surprised at the depth of Siri. Android has one thing going for it, and that is itâ€™s market penetration. But, topping Apple is going to take more than a visual approach, it is going to require a change in the underlying APIs to support the total visual, auditory, and tactile experience. Learning a LOT from Redmond as well, which I always wonder why no one brings up. The swiping to the right, embracing a horizontal feel for data as well as vertical? That’s pretty much Metro’s schtick. And they might as well have called the People app the people hub and made it all primary color backgrounds. This isn’t an insult though. Everybody copies good ideas. That’s why we keep progressing. What bothers me though is that everyone is going “oh, this new thing is like iOS”â€¦but no one is giving credit to Microsoft, who managed to create something remarkably different from iOS. Flat square widgets really aren’t that remarkable, calling them “tiles” is though. Android has got about 1/2 dozen launchers that replicate Metro damn near perfect.